May 23, 2012 - Cessna Aircraft Company is building on a proactive safety initiative started in 2011 designed to educate single engine owners and operators on new inspection procedures. The latest effort is aimed at 100 series single-engine piston aircraft owners around the world, and informs them about new supplemental aircraft inspection procedures that will be added to 100 series Cessna service manuals. The supplemental inspections cover Cessna single-engine piston aircraft produced between 1946 and 1986. 100 series single-engine piston aircraft include the Cessna 120, 140, 150, 152, 162 172, and the 182. The Cessna 120 was an economy version of the 140 produced at the same time. It had the same engine as the 140 but lacked wing flaps. The rear-cabin "D" side windows and electrical system (radios, lights, battery and starter) were optional. Cessna 120 is a single engine, two seat, conventional landing gear, light general aviation aircraft that was first produced in 1946, production ended in 1950. A 120 outfitted with every factory option would be nearly equivalent to a 140, but the International Cessna 120/140 Association believes that no 120s were originally built this way. 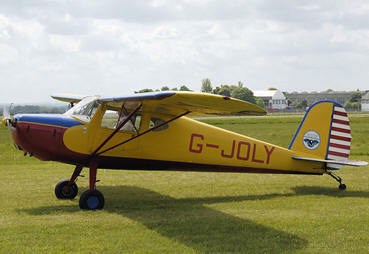 Despite this, many decades' worth of owner-added options have rendered many 120s almost indistinguishable from a 140 aside from the absence of wing flaps. The 120 was dropped from production upon introduction of the 140A in 1949. "We've set up 40-hour training classes in Wichita for mechanics to be trained on the non-destructive inspection techniques, such as ultrasound and eddy current. These techniques will then be used to inspect high-time Cessna single engine airplanes. The intent is to not only teach them what they are looking for, but also how to identify issues that can occur more frequently with older, high-time airframes," said Tom Ronnau, Cessna's manager of Technical Service Propeller Products. "Owners are encouraged to make contact with their local Cessna service affiliate in order to schedule time to complete these mandatory inspections. The key with these inspections is to identify any serious corrosion or fatigue damage present, and if there is, get the airplane out of service and repaired." The criteria for initial visual inspections will vary by model and aircraft age or hours of operation and will focus primarily on signs of corrosion or structural fatigue damage. Cessna authorized service providers will have special training and access to specific equipment for the inspections and for repairs, if required. The inspection procedures and an interactive presentation is available on the customer access portion of the Customer Service page at Cessna?s website and a short video explaining the inspection process is on Cessna's YouTube channel.